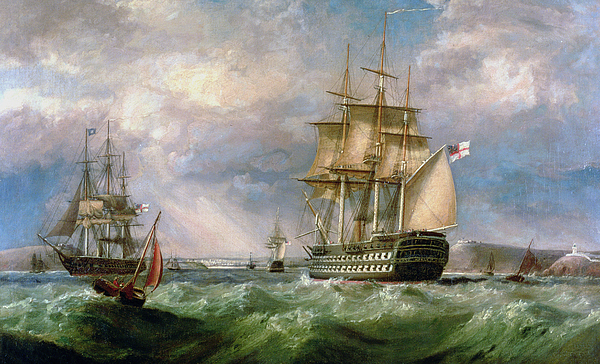 FYI - I'm pretty sure the ship in the foreground is HMS Ajax which was built in 1809. 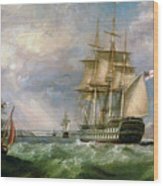 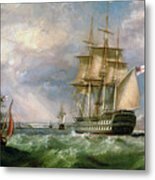 She was stationed in the mediterranean until 1814, too part in the bombardment of Bomarsund, Finland during the Crimean War and finished her days as the guardship at Kingstown Harbour in Ireland. 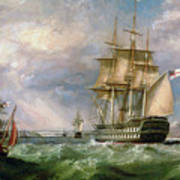 She was decommissioned in 1864.